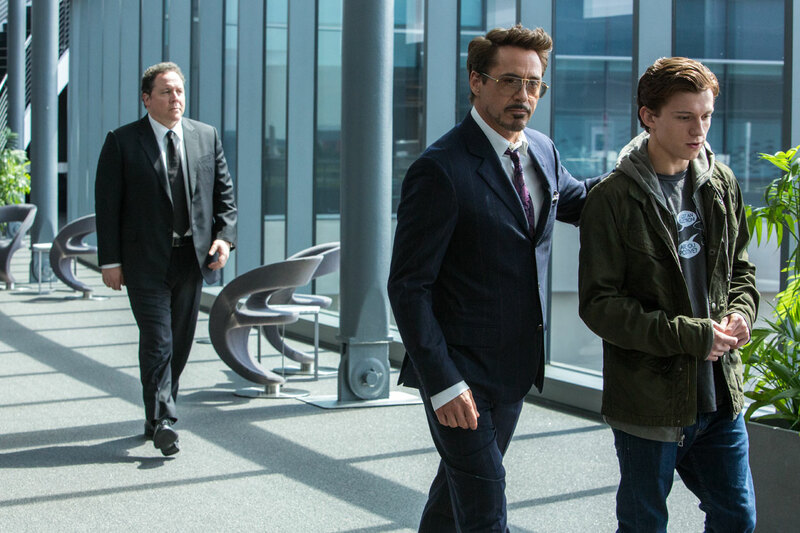 With “Spider-Man: Homecoming” being the second reboot of one of the most popular superhero stories of all times, expectations for the movie were certainly high. 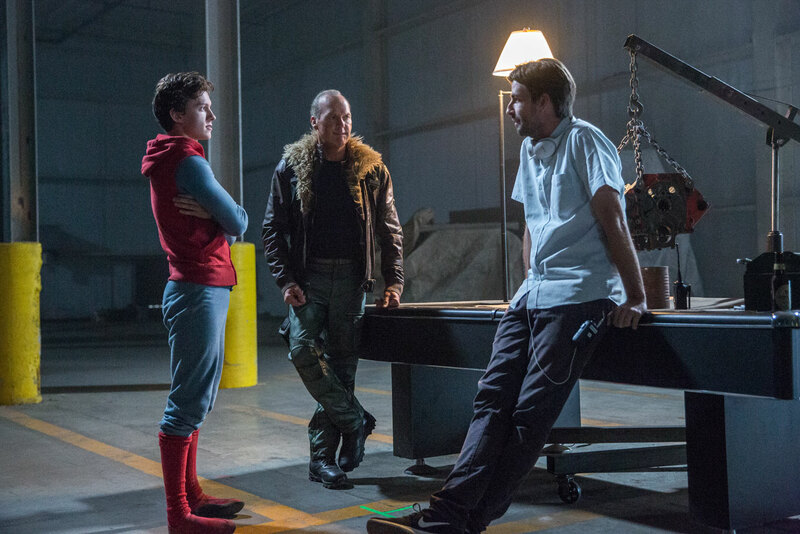 Director Jon Watts managed to meet these expectations by giving the film a unique touch of its own – making it a colorful, fresh and delightful story about Peter Parker’s attempts to balance high-school life with his new superhero job. Francesco Sauta worked as a DIT on the main unit of the movie. In a recent interview with us he shared some of his insights into the production. 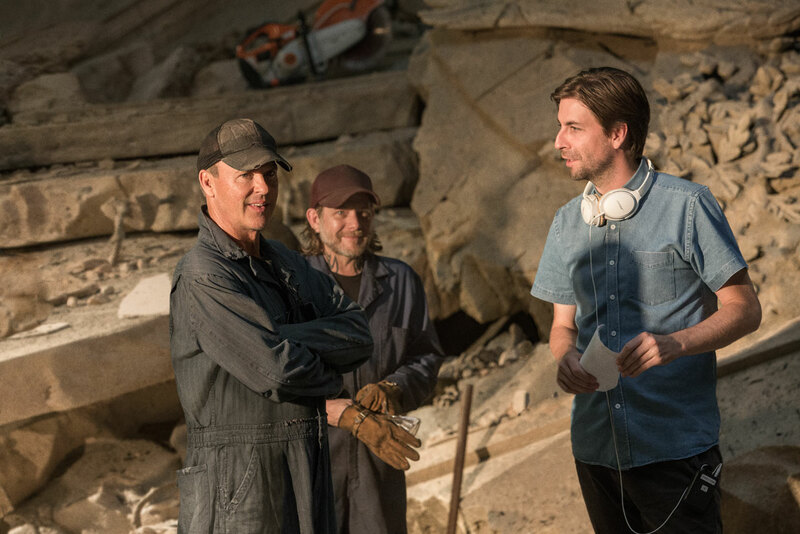 He talked about his relationship with “Homecoming” cinematographer Salvatore Totino, the influence of ACES on his handling of on-set color, and the challenges of combining different camera types to create a young, at times “improvised” and yet professional look. 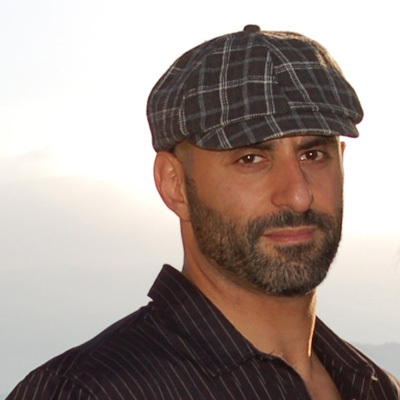 Francesco, you are a Los Angeles based DIT, but we always think of Salvatore Totino as being a very east coast DP. How did you two start working together? Francesco: Sal is definitely from Brooklyn. The story begins 13 years ago when I was attending a class through UCLA extension called “Arriflex Certificate for Camera Assistants.” It was at Clairmont camera, a great longstanding LA rental house, going over how to use film cameras. When I was there, in one of the prep areas I met Salvatore’s first AC. We started talking and became friends. Meanwhile, Salvatore was a co-owner in a restaurant in Santa Monica (that no longer exists today), where a friend of mine I knew from boxing was the manager. The two factors together, the Clairmont meeting and the boxing, meant I was lucky that I got to know Sal. That was back right before he started shooting Frost/Nixon. That’s how I got started, first as Camera Intern, then Camera PA, Film Loader, Second AC, and then the DIT. When did he first bring up Spider-Man: Homecoming? Francesco: He was just about to leave for scouting in Atlanta. The picture started shooting in May/June, so around February 2016. That’s nice amount of lead time, and presumably there was some test work going on in there because this was a Dolby Vision HDR delivery, right? Francesco: It’s final delivery was DolbyVision HDR, but in prep we ran our tests for the ACES workflow. With ACES, the goal of the platform was that the technology should do it all, should match all the cameras and monitors together. But it would be mystifying if I told you that ACES has completely resolved the problem of matching various devices to each other. Even with ACES you still need to know what you are working with, what the monitoring format will be and what each camera can do. On “Homecoming” we monitored in Rec. 709 throughout. We focused on set on keeping the curve open enough to where there was flexibility to stay in 709 or open it up to HDR, but overall we didn’t focus on Dolby or HDR. Not on set. What software did you test or consider during prep, or did you walk into set with a workflow that you’d already honed over several movies? Francesco: I had to implement my DIT kit with a couple of additional pieces of software and hardware. The dailies lab (EC3) was using ColorFront, whereas I was using LiveGrade so we did some tests there to make sure color handover looked correct on both systems. All of us were using ACES version 1.0. Me on set, after all the tests that I did, I stuck with what I had that I knew worked, which was Pomfort Silverstack and LiveGrade. At times I used Resolve full version that I have in my kit, and we used ACES in terms of color science to keep all the platforms consistent with each other. Unfortunately we experienced a little bit of a problem with ACES. Can you tell us a little bit about the problem? We’re aware that they’ve tried to fix some things with the CC and the CCT revisions. Francesco: On ACES 1, there weren’t many other DITs I could ask for help. That was the very first time that we used ACES on a narrative project, at least for Sal and I. The problem showed up in high contrast scenes, for instance in a dark scene where we’re shooting night exterior, shooting a car with the headlights pointed towards the camera. We were experiencing purple fringing in the highlights, an artifact of the ACES color transform. It wasn’t noticeable in our tests during prep, but on set there was like a halo around high contrast highlights, which sometimes created a halo around characters of the story. We had to change the LUT, and create a curve that fixed the fringing for on set preview. I’m on the ACES central site constantly, it’s a great community, and I spoke with the people at ACES, and they’re trying to fix the problem with version two. I haven’t had the chance to use it recently, but that was our ACES problem. Purple fringing artifacts in situations with heavy highlight contrast. It might look like a lens artifact, but it was actually from the color science. So you tried to bend the highlight curve that you’d get less blooming in the cool colors? Francesco: We tried to kind of take out the purple with curves as much as we can. Of course, it was a considerable problem, and Sal was unhappy to see that kind of artifacting on set. You were doing your fix in LiveGrade? You were taking a LUT you’d built at prep, re-tweaking it in LiveGrade and reapplying it to the monitors to deal with the fringing? Francesco: We kind of were doing everything live, and we had two or three LUTs that we created before doing the test, but then everything else was happening live. So you recognized that you had to clean up the purple fringing, and you did that using LiveGrade to control COLR LUT boxes from Teradek. Francesco: We went with the COLR since it offered full 33 point LUT support, so they’re big enough to support ACES color science. What I don’t like of the Teradek COLR, although I use them, is when they’re on camera they depend on wifi. Wifi range can be kind of flimsy, and that can create problems, but when they were attached to my station via Ethernet I was really happy with their response. The combination of those with LiveGrade was great. How many LUT boxes did you have going? Did you have the one at your station, and then all monitors were getting the same look? Francesco: Pretty much, yes. I mean, we were shooting three/four cameras a day, and it was a mini, and there was an XT, plus we were using 4:3, so probably like seven or eight of those color boxes. I have 10, but I was giving a couple of those also to VTR, to the video engineer on set. Then all the signal path was wireless, as well? Francesco: Yeah, it was all Paralinx Tomahawk, and it was passing through to me clean, and then I was sending out to VTR with a look. The great advantage, of course, of the COLR box is you can store two or three LUTs inside, which, because of the purple fringing, we would store a lot of LUT options on board the COLR. There would be one for VTR, for director and staff to watch, a couple of LUTs that had that mitigation for the fringing to deliver nice images. You had three different types of Alexa to contend with. But they all match very well, in our experience. Francesco: The sensor technology, the size, everything is pretty much the same. There was a lot of handheld small POV shots that were deliberately meant to feel like “cameras,” which were captured with the Black Magic Pocket Camera. The Pocket is a completely different look, the colorspace is different, the resolution is different. We really wanted to give that sense, because the story is taking place now, of a kid shooting stuff either with a phone or a little digital camera, so it worked organically with the story. And so did you use a separate input device transform for that camera to try and make it match with ACES? What were you using for monitoring on set? Was it mostly SONY OLED, or where are you right now in terms of on set monitoring? Francesco: I have a Dolby in my office, and then I use an OLED on set, and I have a BVM, as well. I do like the Flanders Scientific DM, but for now I’m pretty satisfied with the mechanics and the screen of the Sony OLED. The SONY panel is the same as the CM-250 and the DM-250 from Flanders. So for Spider-Man we used three SONY OLED PVMA250. Most importantly I was tuning in and matching my monitors with the monitors on the dailies lab, so every two or three weeks, as soon as I had a window of time during the shooting time, I went to the lab and made sure my monitors matched the dailies lab monitors. We did it before we started during the test to prep, so we wanted to make sure that everything in the color mapping was exactly matching, so the decisions that Sal was having in terms of LUTs were matching with what they were delivering on the dailies. Then every two or three weeks, being exterior, running around, I wanted to make sure that everything was there, our monitors didn’t drift too heavily from post. 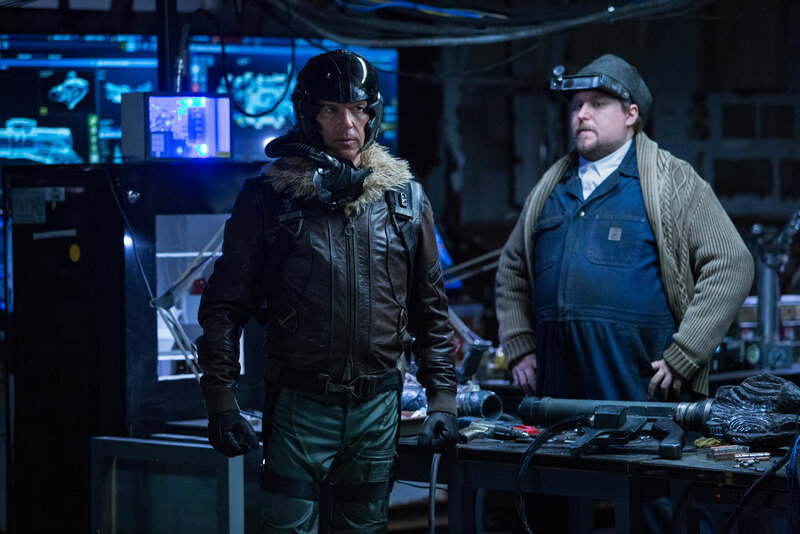 You were working with the dailies colorist Ed Twiford at EC3? Francesco: Yes with Ed. With a dailies colorist it’s all about communication. It’s important it not only comes in the form of a file or notes, also live communication with the colorist as to what exactly the DP wants is very important. He and I were constantly exchanging messages, emails, sometimes WhatsApp. I mean, whatever works to make sure that the workflow is smooth, and the dailies are fine for the DP. When you’re taking your monitors to EC3 to match them to what you’re seeing there, how are you making sure that your monitors really match? Francesco: I have them calibrating my monitor because they have a technical specialist, an engineer, dedicated to monitor calibration. I know how to calibrate my monitor, but I want them to calibrate my monitor so I would know for sure that it will be done precisely the same way they are doing it. They set up their own monitors that they grade dailies on, so I might as well have them set up mine as well to be sure it’s done identically. That’s the simple trick that I use. At the end, I’m going to leave everything to them because they’re going to be controlling the monitoring throughout post. They were gonna be in charge of that. Were there any completely brand new setups, or situations, or events that happened on this film that you hadn’t really been through before? Francesco: The combination of those Black Magic cameras, iPhone and other POV cameras meant to look differently from the main camera. There was a part of it, integrating those cameras, creating something for on set to make sure that those cameras were easy to use. For instance making sure that there was image constantly at video village, so wireless if possible, but also at times we had to roll cabling as well when we couldn’t build wireless. ACES was the part where I had to work more on my setups and run a lot of tests because it’s so new. It looks beautiful, and that purple fringing caught us all by surprise, so we kind of had to redo a lot of things to compensate. Knowing that there was EC3 behind me was really a great situation, because it would have been complicated otherwise. DIT is such a technical job, knowing all of that workflow information, and then still having an artistic eye at the same time. How do you feel about switching back and forth between those two aspects – not only with regards to working in LiveGrade, but the DIT’s job in general? Francesco: To me I don’t consider it switching. They come combined. It’s an art and craft, and so LiveGrade somehow incorporates the two. Having the technical knowledge helps you also with the freedom in terms of creativity. Even when you’re being technical, you’re still being artistic because you have to understand the technical in order to execute artistically. And most of all my role is just a supportive aspect to make sure the DP is happy. We deliver what the DP wants. 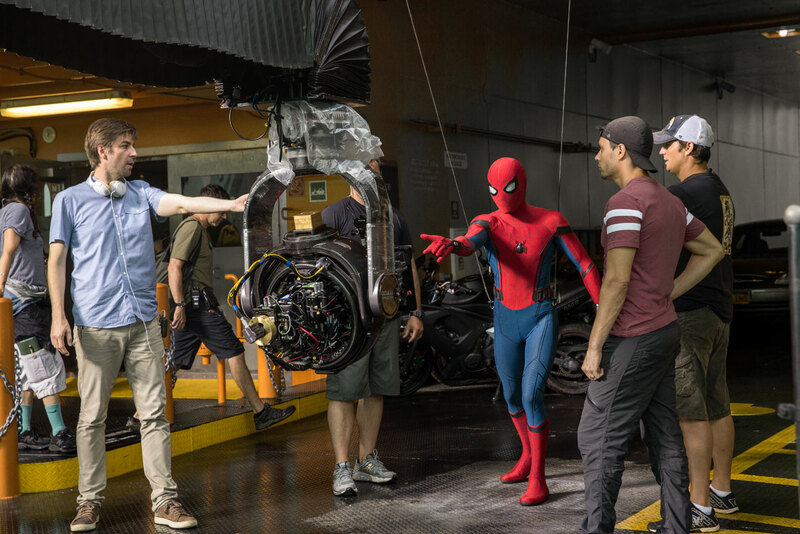 We thank Francesco Sauta for sharing his insights into the production of Spiderman: Homecoming with us! Thanks also to Charles Haine for leading the interview!